Check out our list of activities you can do with family and friends for the holiday season. Whether this gives you joy or stress, Christmas is just around the corner. But don't let the holiday rush get to you, as this is the perfect occasion to just have fun with family, friends, and your special someone. 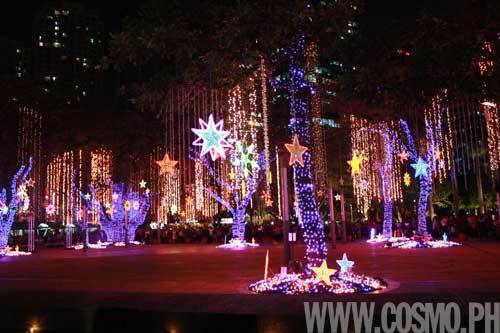 Check out our lineup of activites and places you can try for a truly Cosmo-tized Christmas season! 1. Buy a fragrance and give back. And we're not just talking about completing your Christmas shopping for loved ones. Give the gift of education, health, and a better future to a child in need by becoming a World Vision Sponsor. For only P600 a month (which is just around P50 a day), you can change someone's life by helping them get access to clean water, quality health care, and education. If P600 a month isn't within the limits of your budget, you can make a one-time donation that can still go a long way. In support of World Vision's endeavors, beauty brand Clinique celebrates Happy Day on December 10. Head office employees, regardless of rank, will troop to Clinique counters to spend the day with them. This is to recognize their hard work in giving top-of-the-line beauty advice to women in over 130,000 Clinique counters worldwide. But wait, there's something in it for you, too! Get a free 7ml Superbalm Moisturizing Gloss in Raspberry with every purchase of any Clinique Happy bottle (available in three variants: Happy for Women, Happy for Men, and Happy Heart) in Rustan's counters. 2. Get a fashion makeover. Still clueless about how to look fab for the holidays and the new year? Get practical advice from stylists who'll give you fashion pointers based on your body type at the Penshoppe Style Closet, which will come to a school or office near you! Their group of stylists will also help you accessorize with different outfits, and you can try out the pieces they recommend. After you've scored your fierce new look, get your photo taken at the event. They'll upload it in real time on Penshoppe's Facebook account so you can show everyone how fabulous you look! Watch for it at the following venues: Teletech (December 15, 16, and 17), Pacific Star Building and PBCOM Tower (December 9, 10, 13, and 14), Tektite Bldg., Philam Life Tower-Makati, Enterprise Center Tower 1-Makati, Ateneo de Manila University (December 6 and 7), and University of Sto. Tomas (December 3). Check out Penshoppe's official Facebook page for more info. 3. Visit a local holiday attraction. Experience spectacular lights, cheerful music, delectable food, and a festive ambiance—right in the heart of Makati's Central Business District. Take your significant other for a stroll at the newly-opened Ayala Triangle Gardens, and witness Symphony Of Parols, a lights and sound show which repeats every 30 minutes from 6PM to 8PM every weeknight until December 23, with special weekend shows on December 18 and 19. Click on the button below this article to view a gallery of snapshots from the show. Also at Ayala Triangle, you may want to catch a free concert by renowned performers, the Christmas Serenade At The Gardens, which will be held on December 8, 6 PM. In case you want to grab something to eat or just sit back, relax, and enjoy good food, try any of Ayala Triangle's 12 new restaurants and cafes: Amici Restaurant and Caramia Gelateria; Chef Laudico's Bfast; Bon Chon Chicken; Banapple; CBD Cheesesteaks, Burgers, and Drinks; Golden Spoon Frozen Yogurt; Kanin Club; Momo Cafe; Omakase; Pho 24; The Coffee Bean & Tea Leaf; and Wee Nam Kee. If you're closer to the QC area, visit the Eastwood Mall Atrium in Libis. Take wonderful Christmas photos with your loved ones next to the 60-foot Christmas tree, adorned with over a thousand Christmas balls. 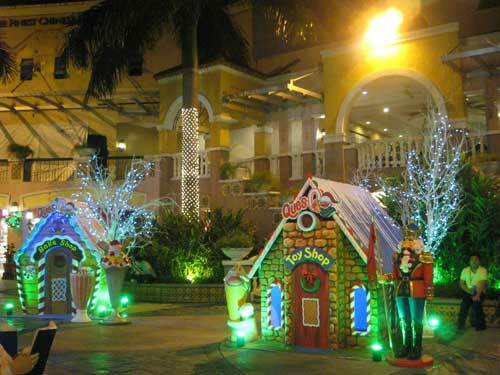 You can even bring your younger siblings or pamangkins to play in the Ques-O Christmas Village at Eastwood City Walk 2, which has specially-designed life-size Christmas houses that'll surely delight them and get you in touch with your inner child. Make sure that you let them see the country's first twin mascots, Easter and Woodluck, on their first public appearance on December 5, 7PM, at the Eastwood Mall Open Park. These adorable cuddly bears will also be at the Ques-o Christmas Village after the show, amidst the wonderful Snow Shower at 8PM. They can also meet and take photos with Santa Claus every Friday, Saturday, and Sunday of December (except December 25). To wrap up your magical December evening, catch a fireworks display, which happens every Saturday and Sunday of the month. And since you're already within the vicinity of the mall, you might as well take the opportunity to do what you love most--shopping! Get unique gift ideas at the Holiday Gourmet Market everyday this December, find awesome yet affordable toys for your inaanak at the Great Toy Sale, and update your collection of music albums and movies at the Big CD and DVD Holiday Sale. Score fab fashion finds at the Eastwood Christmas Bazaar and Ques-O Christmas Village Fair at Eastwood City Walk and at the Style Shack Bazaar at the Eastwood Cyber Mall. 4. Watch a fun performance with your barkada. If you were too busy to meet up with your friends all year long, take the opportunity to reunite with your high school or college crew this December. 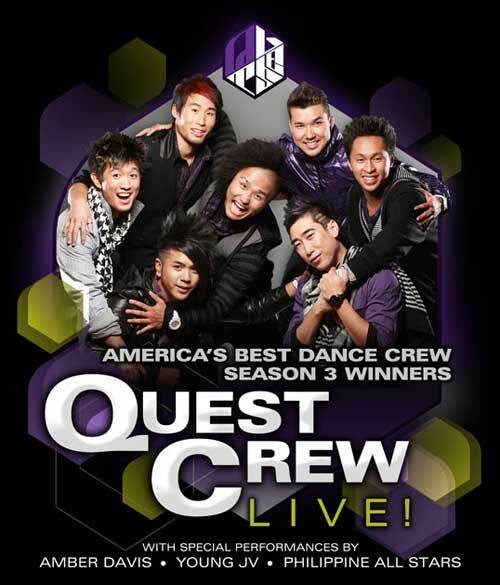 Before you head out to your favorite club to party all night, get into the groove (maybe pick up a cool dance move or two) by watching a live performance by Quest Crew, the winners of America's Best Dance Crew Season 3. Catch them at Newport Plaza at Resorts World Manila tonight, December 3, at 8PM; at the Eastwood Mall Open Park tomorrow, December 4, 7PM; and at the Venice Piazza at McKinley Hill on December 5, 7PM. If you're more of a music lover, you can also check out any of the concerts lined up at Eastwood City, Libis. Watch the first leg of Eastwood's Christmas Chorale series at the Eastwood Mall Atrium tonight, December 3, as the Faith Academy Choir sings your favorite Christmas tunes. Single for the holidays? Take your single gal pal on a "date" to catch Eastwood's romantic Christmas concert series at the Eastwood Mall Open Park. Catch Asia's Songbird Regine Velasquez on December 5 at 8PM, Gary Valenciano on December 10, Christian Bautista on December 11, Ogie Alcasid on December 15, Vernie Varga on December 17, and RJ Jacinto on December 18. 5. Go on, see a musical. If you loved Glee or High School Musical, then you'll definitely enjoy watching an award-winning musical play onstage. Catch the local production of RENT, the story of young bohemians on the Lower East Side of New York City struggling to live, love, and survive amidst the rise of drug abuse and AIDS. It stars Gian Magdangal and Nicole Asencio. 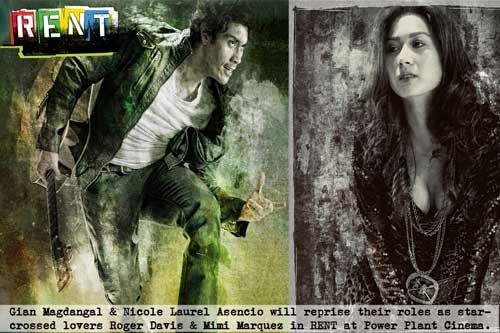 RENT will be staged for a limited run of eight performances at the Power Plant Cinema 2 on December 8 to 12 at 8PM and December 10 to 12 at 4 PM. Tickets are available at the Power Plant Cinema ticket booth. Call 898-1440 or 898-1441. Don't fret over not winning the P700 million lottery pot. You can still try your luck elsewhere by joining raffles that come with products you actually consume. Take advantage of Ayala Malls' Foodie Trip promo, which entitles you to a raffle entry for every Food Choices meal worth P150 with any Coca-Cola drink. Just drop off your filled out raffle tickets at designated dropboxes, and you could win a trip to Sydney, Australia! Who knows, you might get lucky this time! Well, even if you don't, at least you get to enjoy a delicious meal. Promo runs until December 10, 2010. Got any events, shows, or gimmick ideas to share? Post it on our calendar, or email us at webmaster@cosmo.ph. Click on the button below to launch our photo gallery of places you can visit this December.